The Oxford connection to Russia and Russians runs deep. Suffice it to say that the university purchased a Russian font for its press in 1696. 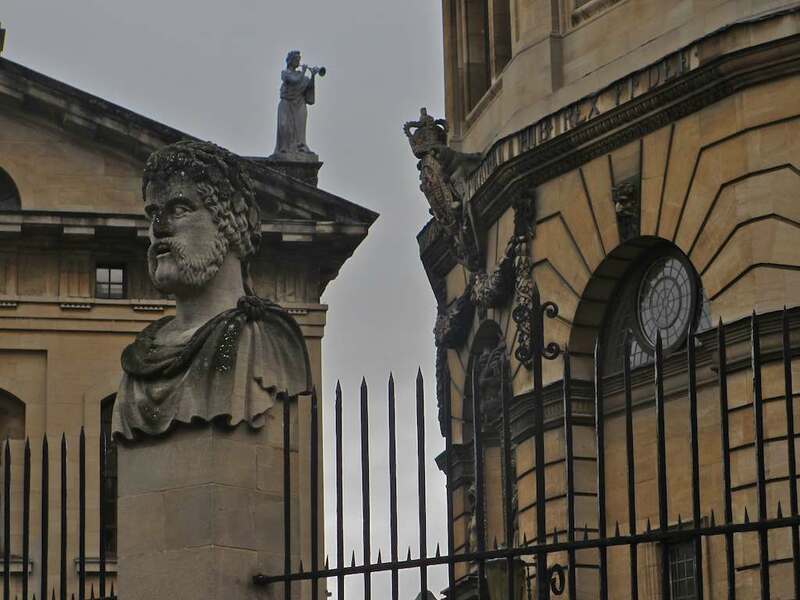 This and many other fascinating tidbits of Oxford-Russia history may be gleaned from Victoria Bentata’s article, “Oxford’s Early Russian Connections,” for the Oxford Today website. 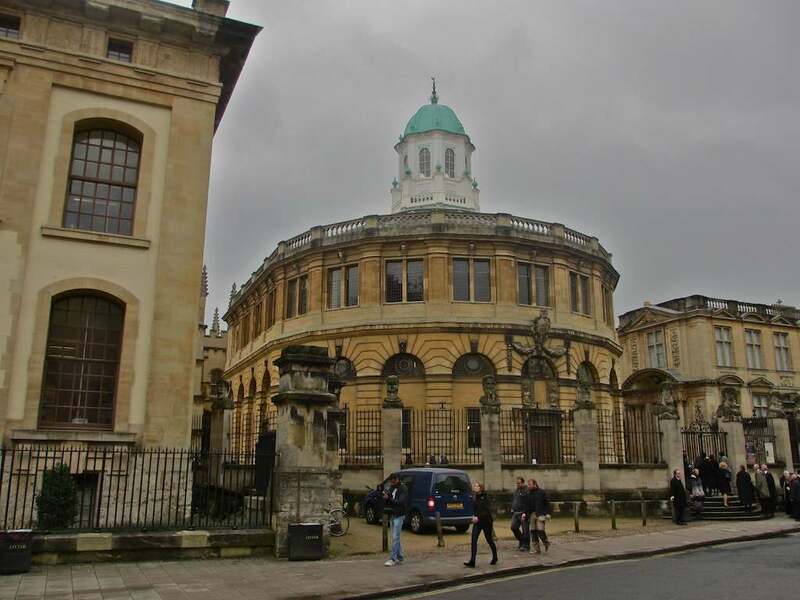 Surely one of the most important buildings in this relationship is the roundish Sheldonian Theatre on Broad Street. 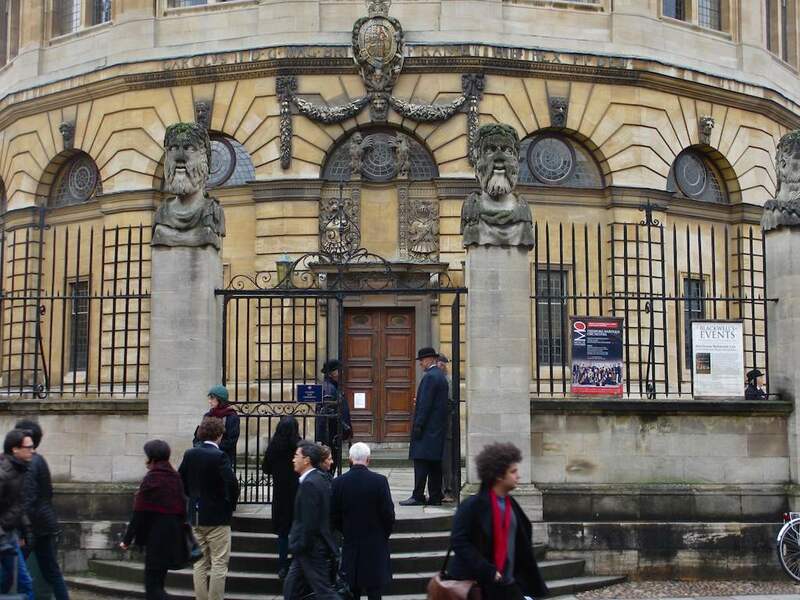 This is the location where Oxford presents its honorary doctorate degrees and a surprisingly large number of Russians have received them. The first figure of Russian culture and art to be so honored was the novelist Ivan Turgenev. In fact, according to an article by J.S.G. Simmons on the Oxoniensia.org website, he was the first novelist of any nationality to receive that high honor. The event occurred on June 18, 1879, somewhat more than four years before the great novelist’s death, and just 75 years, to the day, before I was born. Reportedly, Turgenev wrote to a friend a few days later to point out that he had received louder applause than any of the seven other recipients that day. Some other Russian honorary doctors include the composer Dmitry Shostakovich, the poet, translator and children’s author Kornei Chukovsky, the great literary scholar and humanist Dmitry Likhachev, the poet Joseph Brodsky, and, of course, the poet Anna Akhmatova. Some of these individuals might have passed through the gates leading to the theatre, as seen directly below, as well as passing a guard or greeter, perhaps similar to the one who was overseeing foot traffic the day I made these photos last week. As it happens, degrees were being bestowed on the fortunate and fastidious that day as well. 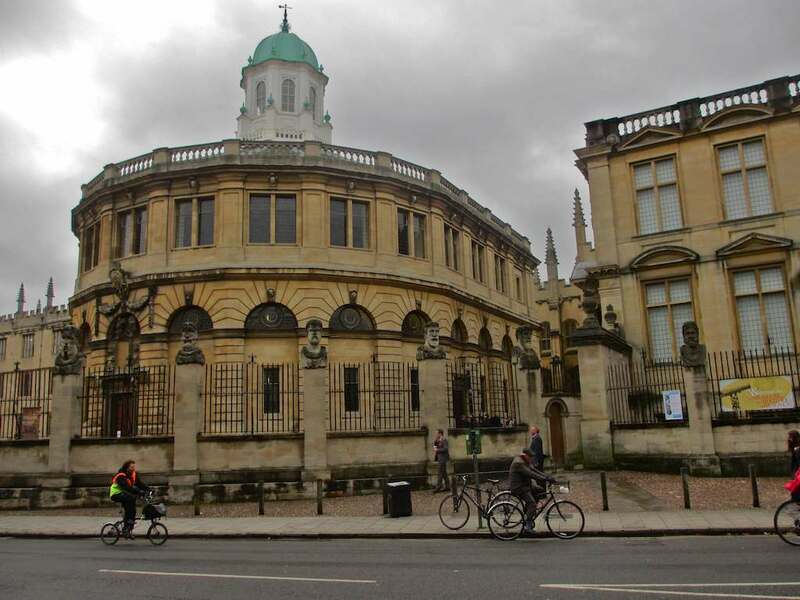 Anna Akhmatova received her honorary doctorate here at the Sheldonian on June 5, 1965. It was a Saturday and the ceremony began at 2:30 in the afternoon. Readers of my last post may recall that I drew my account of Akhmatova’s visit to Oxford from the memoirs of the poet’s companion Anna Kaminskaya. I do so again here. Kaminskaya, it should be pointed out, sometimes refers to Akhmatova affectionately as Akuma. “We found ourselves almost at the head of the procession on the street. A man of small stature lead us all. He was dressed in a medieval, black suit with a mace in hand. He was followed by two ceremony masters carrying staffs, also in black. Next in line were Vice Counsellor Doctor Kenneth Wheare and Mr. Brian Brown [I have not been able to verify this individual. My thank you to Hugh Macmillan for identifying the first, see comments below – JF], followed by Anna Andreyevna who leaned on my arm in a red gown with gray cuffs and sleeves. Behind us were three other laureates also dressed in red and gray gowns. Further on were professors in black gowns. 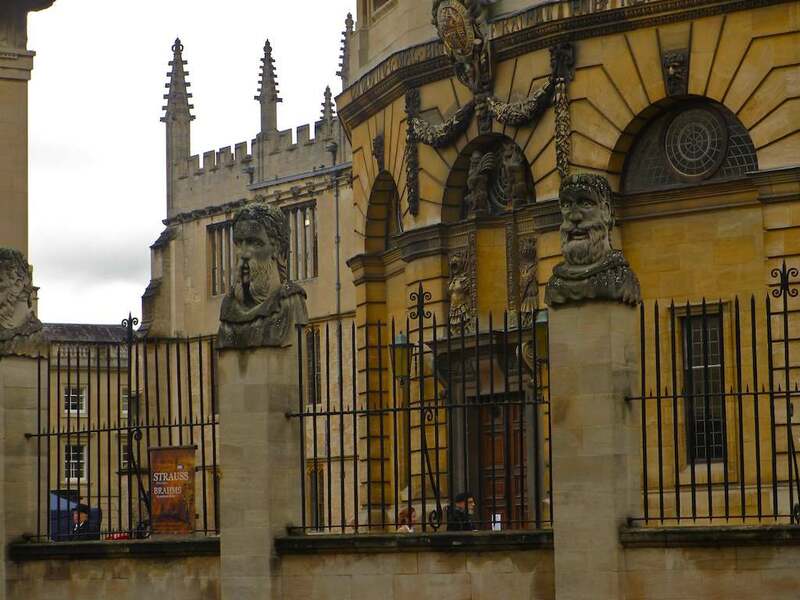 The procession, which has not changed its outward appearance since medieval times, made its way through the tiny old streets of Oxford to the Sheldonian Theatre and stopped alongside the two-story, 18th-century Clarendon building with its central porte-cochere. We passed into a small room on the first floor where a book lay on a table. Four of the year’s laureates left their signatures in it and received sheets printed with the salutatory speeches. The room was lit only by the light entering through a window made of small panes of glass. As such it seemed as though we were plunged into a medieval gloom. 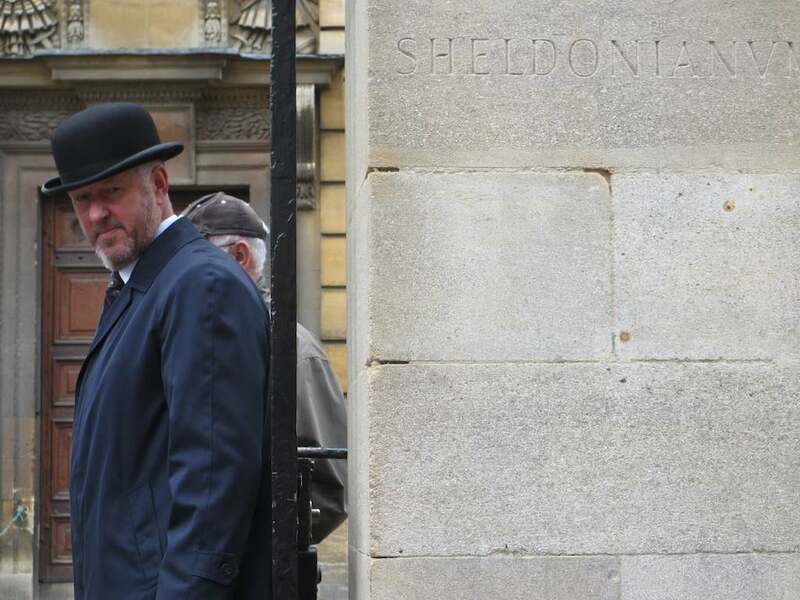 When we passed further through a portico, the procession entered a large cobblestone yard before the Sheldonian, where the ceremony was to begin at 14:30. “The heavy doors of the theatre opened; spectators had filled the amphitheatre. Anna Andreyevna was the first to be honored. She entered slowly, leaning on my arm, her head slightly bowed, looking at no one, attempting to conserve her energy for the event that was to come. We sat in our designated seats. During the speech Anna Andreyevna was supposed to stand in the center of the hall, but, violating tradition, an exception was made for her. “…After the triumphant reception of Anna Andreyevna, we went out onto the square. A crowd of admirers of Akhmatova’s poetry was waiting on the street, and it was joined by professors, students and guests who had come out of the ceremony. A living corridor of applause was formed and the victory parade continued. Anna Andreyevna did not expect such a triumph. Kaminskaya’s Russian-language memoirs may be accessed on the website of Zvezda (Star) journal.